Shower rod securely anchored to ceiling removing bar from across shower. 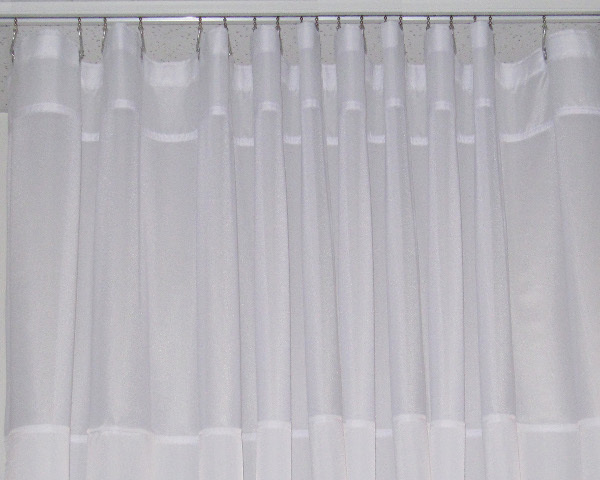 Bottom weighted hem shower curtain to floor or other desired length. 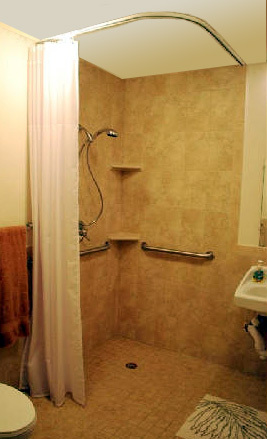 Shower curtain easily glides left or right and can be pulled back for easy access to shower. Curtain carrier hooks easily traverses corners with L-shaped rods and other configurations. 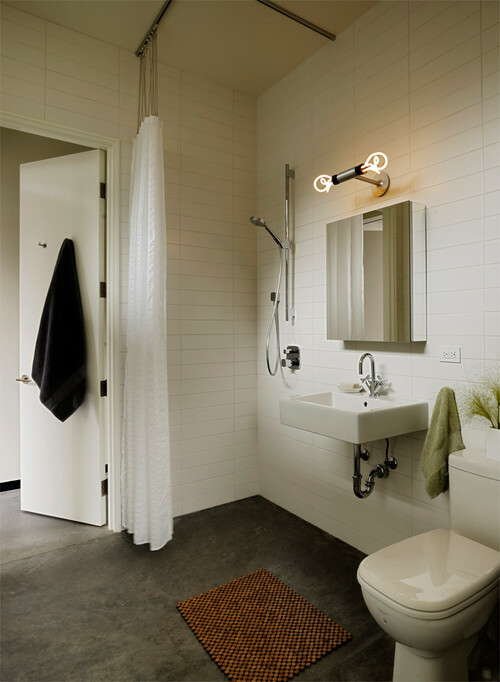 Ceiling shower rod and shower curtain are customized to your needs. Available in both white enamel and brushed aluminum finishes. Includes 12 carriers (TRAX) or 18 carriers (L-TRAX) for shower curtain liner. 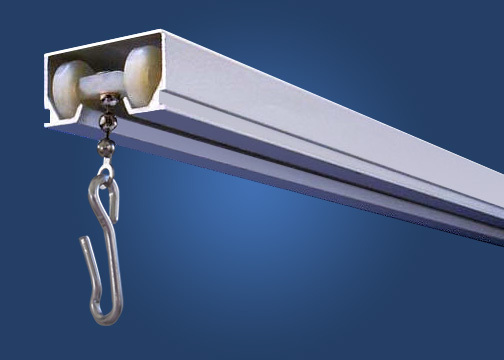 Attaches to ceiling with screws and drywall anchors that are included. Can be easily trimmed with hacksaw for different sized applications. The Shower Curtain Liner is a fabric shower curtain for extra long and/or extra wide and other custom size shower curtain applications.